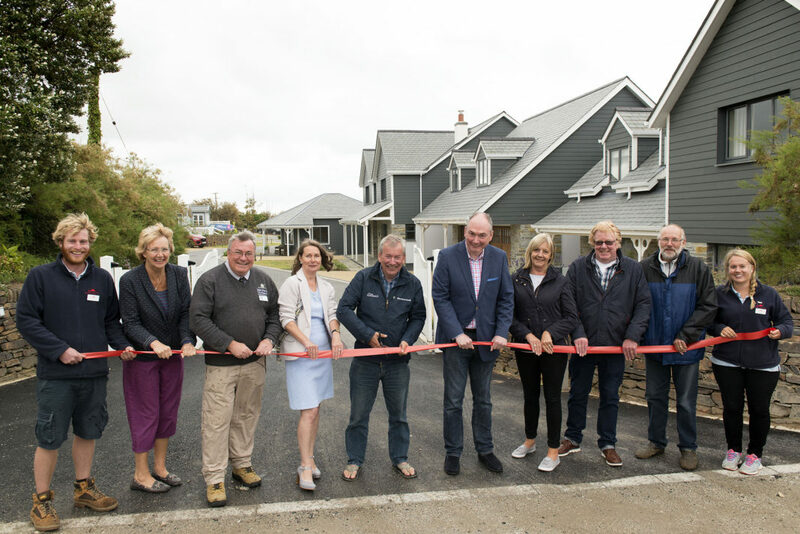 A luxury new holiday complex has been officially opened in north Cornwall by Visit Cornwall’s chief executive, Malcolm Bell. Martha’s Orchard in Constantine Bay consists of two houses, one sleeping up to ten and the other up to eight, and seven lodges, four of which have hot tubs and all sleeping up to six in three separate bedrooms. 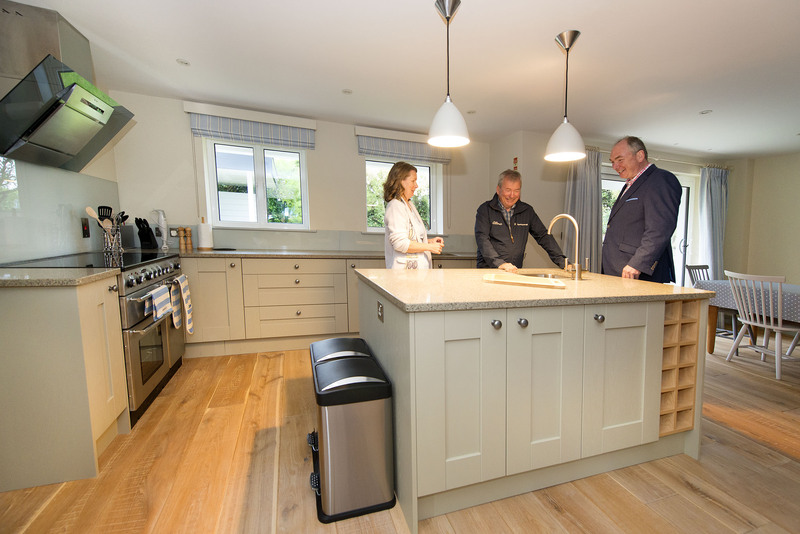 After cutting the ribbon to officially open Martha’s Orchard, Bell was given a tour of the accommodation by Margaret and Patrick Langmaid who also run nearby award-winning Mother Ivey’s Bay Holiday Park. He said: “The quality is genuinely outstanding and represents a real step-change in what Cornwall is able to offer self-catering visitors. Both houses are superbly designed, whilst the lodges are like no other lodges I have ever seen. The Langmaids are equally pleased with the results. “Margaret and I are delighted with the top-quality workmanship that has gone into every aspect of this luxurious new complex,” said Patrick Langmaid.